يشكل فندق بولكوت سويتس بموقعه الممتاز في منطقة مطاعم, سياحة, تسوق ضمن المدينة، مكاناً ملائماً لقضاء العطلة بعيداً عن عجقة أيام العمل. يحظى هذا الفندق ذو 5 نجمات بمكان ممتاز يسمح بالوصول إلى المعالم السياحية الأكبر في المدينة، فهو يبعد مسافة 1.0 km عن صخب المدينة. يشكل هذا الفندق ملاذاَ مريحاً للاسترخاء ويمنح زواره فرصة للاستجمام والتجدد، وهو يقع على بعد خطوات من المعالم السياحية الكثيرة للمدينة. كما يقدم بولكوت سويتس الكثير من الخدمات لإغناء رحلتك في المدينة. يمكن لضيوف الفندق الاستمتاع بالميزات التالية على أرض الفندق: مرافق مخصصة لذوي الاحتياجات الخاصة, تسجيل وصول/خروج سريع, تخزين الأمتعة, واي فاي في المناطق العامة, صف السيارات. لقد جهزت هذه الإقامة الفندقية بعناية فائقة لتوفر مستوى عالي من الراحة. في بعض الغرف يجد النزيل تلفزيون بشاشة مسطحة, سجاد, قهوة فورية مجانية, شاي مجاني, بياضات. يمكنك طلب اللائحة الكاملة للخدمات في الفندق ومن بينها مركز للياقة البدنية. إن بولكوت سويتس هو خيارك لخدمة الفنادق الراقية في المدينة. It was a comfortable stay minus the fact that our suitcases had to be lugged up to the second and third storeys where the rooms are. There's no common toilet on the third storey as the only toilet is in one of the rooms. room was decorated with modern style with white color makes it look very clean. everything was nice, price was ok compare with what we have got. only downside was we had to pay for the car park which is 25nzd per night. No heat pump or electric blankets. Great location for shopping and eating out. Clean and spacious. We had a two bedroom apartment which would be perfect for either two couples or a family of 4 as there are two bathrooms. Location, security entry door at night. Amazing response by staff for requests for hanging rail. Clean. Poor parking to drop off bags from taxi but manageable. Construction works outside for church- early start and noisy but it 2year loved it as they had a digger and this thoroughly entertained on they balcony. Not sure others would agree but beautiful building! The only issue was that though the wifi coverage strength indicated high, I could not get on unless I stood near the entrance door of my room. This made it inconvenient to use. Except for this, the stay was good and comfortable. Stayed at the Boulcott Suites in their new rooms and had the best stay I could ever ask for. Great staff at reception, very polite and welcoming. 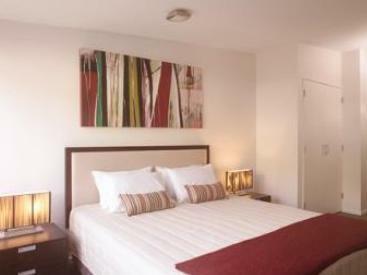 Beautiful studio with a very comfortable bed, brand new bathroom/ showers and kitchen. Truly wonderful. I can't think of a single complaint or improvement. I was in the new building. Staff super friendly. 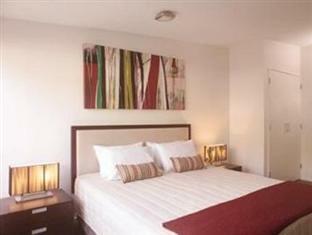 Comfortable bed and nice linen. Fluffy towels. Quality appliances. Nice toiletries. GREAT shower. Nespresso coffee machine. Spacious room. Just excellent all round. Well done Boulcott Suites, will definitely be back! Close to everything in town:managed to walk everywhere except for the airport and Weta Workshops but they were easily accessible by bus. Would be happy to stay there again as the apartment had lots of nice wee touches and was thoughtfully appointed. Our group of 8 had a great time in the 4 bed-room Suite. It has 3 levels: groud floor is sitting room, dining room and kitchen,spacious for all people working on meals and enjoying happy time. Each of 2nd and 3rd level has 2 bed rooms. All beds are very comfortable. Bathrooms are clean and well equipped. The Suites locate in the centre of the city and we can walk to all spots on foot: musuem, visitors centre, bar area... The price is reasonable and of value. Onle challenge is the steep road in front of the Suite if you are driving. Lovely stay: amazing rooms, super comfy beds and superb location. We will definitely be back! Few issues with communication from staff- 1= It was difficult to find the room, as no instructions were given. We thought there would be a concierge as it is a 5* hotel. 2= We were only given two keys between 8 people, and staff did not tell us how to enter the hotel after hours! We weren't told the hotel entrance gets locked and you can't enter without a key!!! Or, without someone awake to buzz you in! 3= The water in the showers kept going cold... 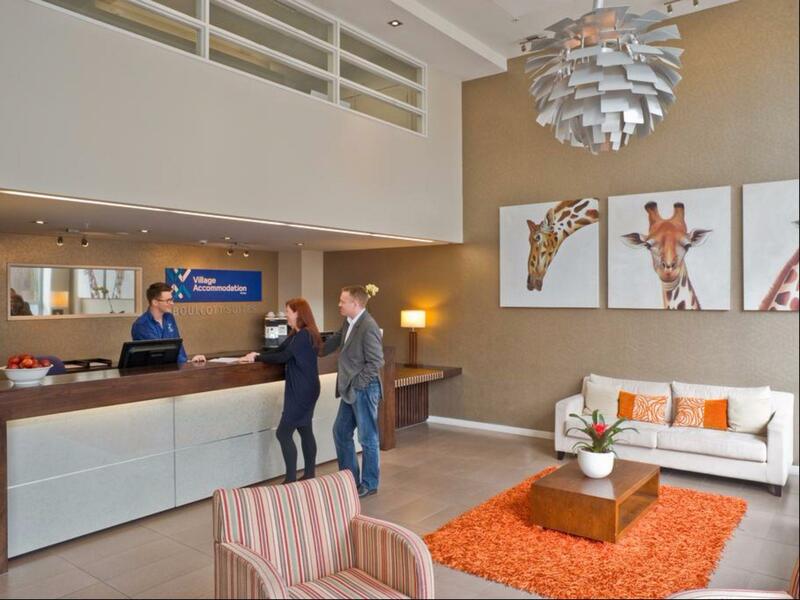 The staff varied hugely- some were very professional and helpful, others seemed to have no idea what they were doing. Short but sweet stay. Parking is charged extra, limited service but fine for what we needed. 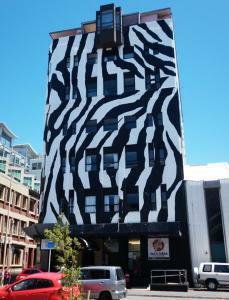 Walking distance to Te Papa and the CBD. Basic, clean and tidy, slightly awkward access but otherwise good. No food options I was made aware of but walking distance to restaurants etc and apartments ave kitchens to make your own meals. Really enjoyed out stay and hotel suited our needs really well (3 adults). A bit awkward to drop off bags and had to park our car in a parking building around the corner from the Suites. The advantage of this was we were able to leave our car in the parking building for the duration of our stay and walk to all appointments. Will definitely consider for future visits. Everything good but if you are driving best to avoid. Parking is very limited and expensive. We were told to use Wilson Parking and thinking it was provided free we were shocked it cost NZD25 per day. You can get it cheaper at other carparks. 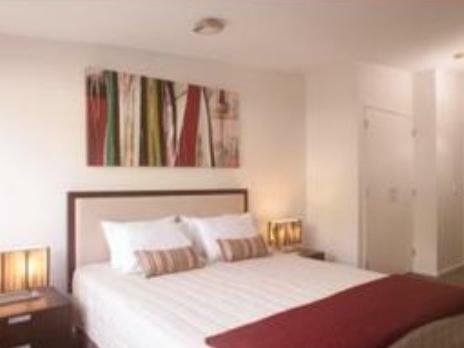 There were 2 large beds and all the rooms were very clean and spacious. The bedrooms were upstairs which meant that they were unaffected by any noise from the TV downstairs. We were involved in sport all week. The 2 bedroom townhouse gave our athlete the opportunity to get plenty of sleep in a quiet spacious room upstairs but still allowed the rest of the group to watch TV, stay up late etc on the downstairs level. Staff were always available and quick to assist when asked. Kitchen (fridge with freezer), laundry facilities (own washer and dryer) were top knotch and much needed.The only downside was the tightness of some of the parking bays. We stayed in a four bedroom apartment. It was three levels, down stairs lounge dining and balcony, 1st floor two bedrooms and two bathrooms, top floor two bedrooms (one was the master with en suite). Very tidy and well maintained. There was a group of six of us, and couldn't have wished for a better place to stay.